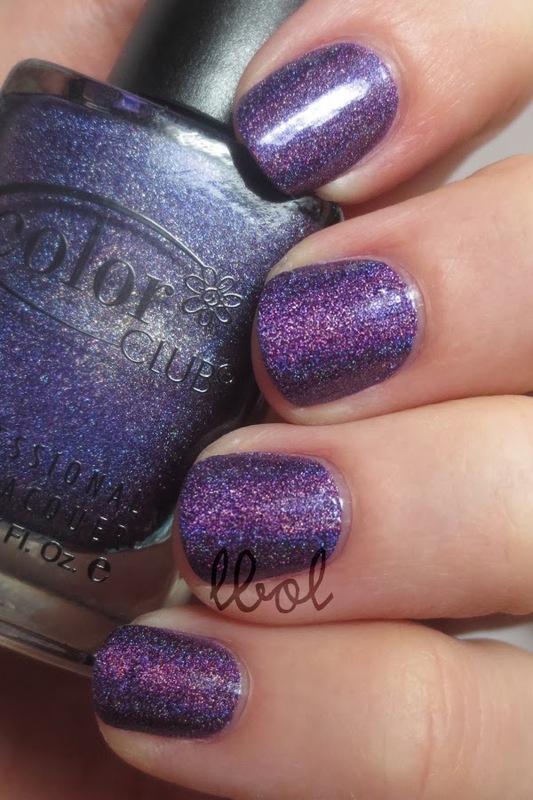 Color Club - Wild at Heart was one of those colors that I saw a swatch of, fell in love, acquired a bottle and upon receipt decided that it wasn't as awesome as the pictures made it seem. It looks just okay in the bottle... 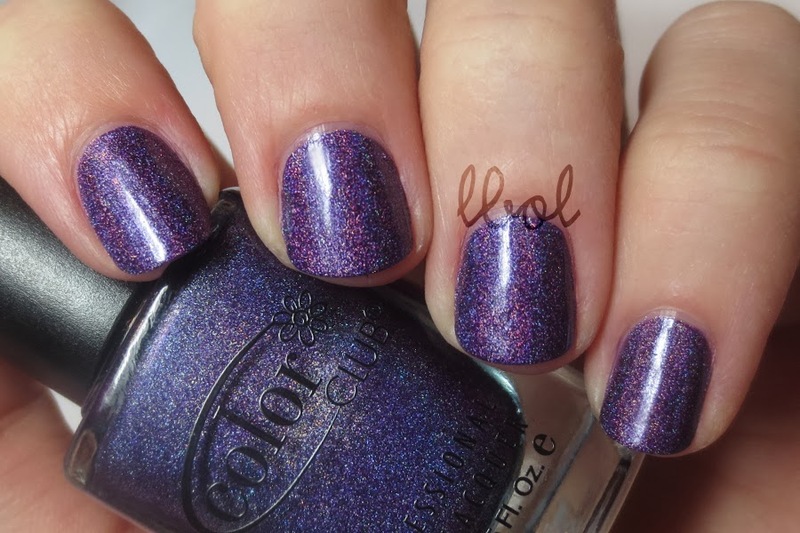 I didn't make it a point to swatch it immediately. Dumb! Now that it's on my fingers, I'm in love again. 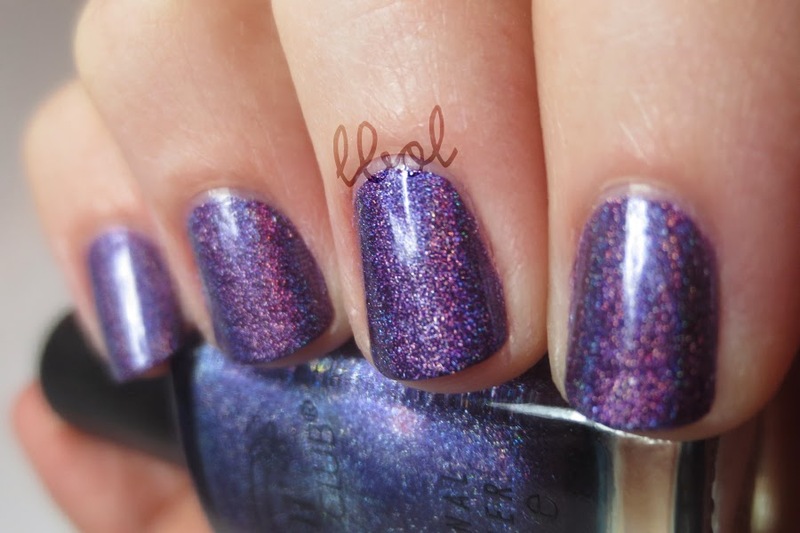 Wild at Heart is pretty crayon-purple base with medium linear holo that applied reasonably and was opaque in two careful coats. Pictures show two coats without topcoat. I used a base coat this time because without it you could see my poor nail's ridges even more than you usually do.